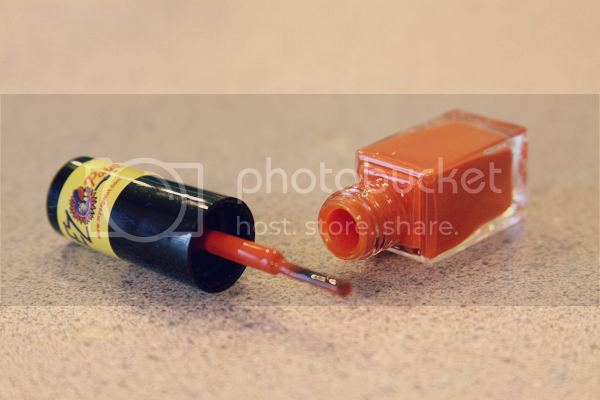 You Are The Roots: ezpaint is the new way to paint + special giveaway! 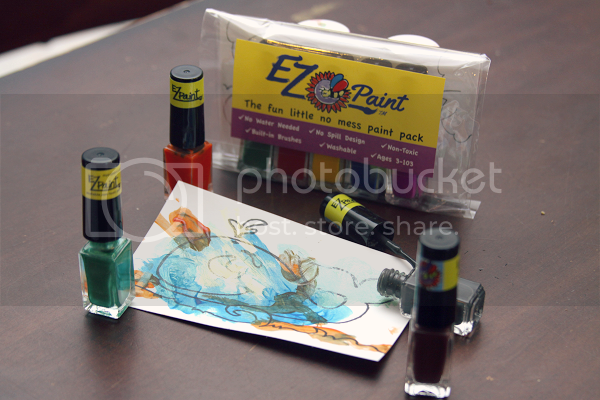 ezpaint is the new way to paint + special giveaway! In January, I posted a review of EZPaint and am excited to be posting an updated one all these months later. If you've been reading this blog for even the tiniest bit of time, you've likely gathered that Ethan is pretty much obsessed with making art. Our afternoons always involve some music and hours spent making paintings. I wouldn't have it any other way, and neither would Ethan. Still, EZPaint is more than just a set of paint. You know how some parents hide pureed veggies into their kids meals to try to give them the nutrients they should be eating but aren't? EZPaint is a little bit like that. The fine motor practice that painting with EZPaint gives is awesome and it's been truly great to watch Ethan's fine motor skills improve just by doing what he loves. 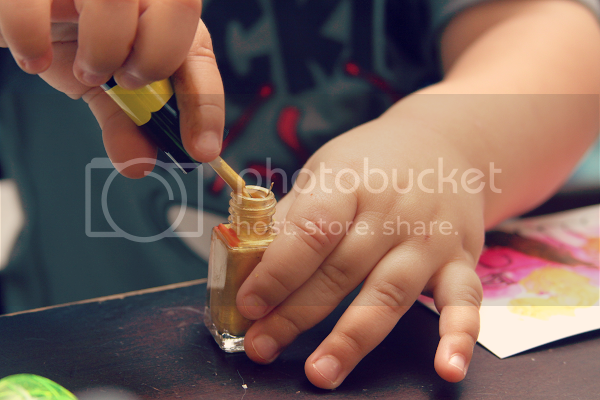 When he first started using EZPaint he had some difficulty getting the brushes back into the bottles but now he's basically a pro and has moved onto learning to screw and unscrew the lids. From a parent standpoint, I love EZPaint because it makes painting, well, easy. There's no need to find brushes or wash them after use. There's no need for any prep whatsoever. 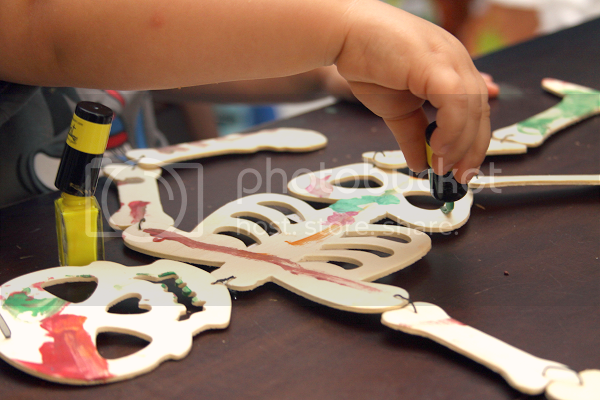 EZPaint can be used on any medium (we even painted a pumpkin with ours as well as some sweet wooden Halloween decorations) but -- drumroll please -- they also come with great cards to paint on. This is such an added bonus when you're in a pinch, dinner is burning on the stove and you need ways to occupy the kids. Or, you know, if you're at the doctor's office or a restaurant -- or at your sister's dance competition for four hours and trying to avoid toddler meltdown (true story). EZPaint is so portable and the cards make it so easy. The designs on the card are cute and fun to paint! When we go out to eat, Ethan is inevitably bored with the children's menu coloring page and accompanying crayons after about five seconds. A pack of EZPaint with a set of cards is infinitely better. It may sound daunting to bring paint to a restaurant, but EZPaint makes it a breeze. 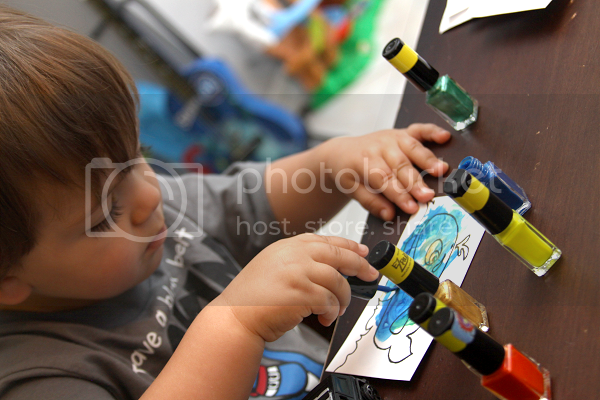 Pop an EZ card down at the table, open up a couple of bottles of EZPaint and let your little one at it. Totally trumps the crayons and coloring page every single time. I'm not afraid of a mess -- heck, I am all about embracing the mess -- but I can admit that sometimes we have to leave the house in fifteen minutes, Ethan wants to paint and I'm trying to change his mind because we can't get all filthy right now. EZPaint sort of erases the mess factor. If you have small children, you have clumsiness. 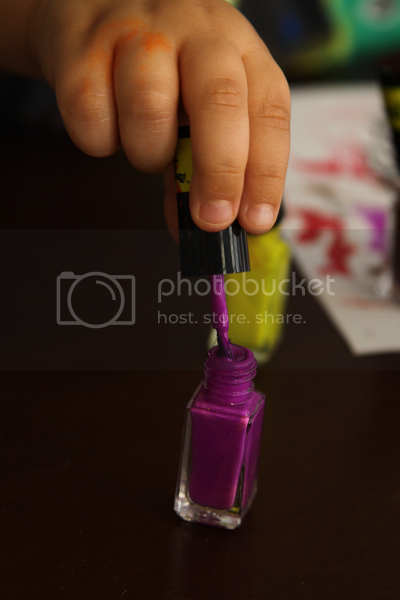 Your little artist knocks down a few bottles of EZPaint while trying to reach for something? No big deal because it doesn't spill. There are a lot of new children's art products on the market that advertise "mess free painting." The problem is, they don't really use paint. It completely restricts the creativity of a child and that makes me all kinds of sad. EZPaint allows "messophobic" parents the freedom to invite creativity and art into their home without necessarily worrying about a mess or tipped bottles or cups of water or dirty paintbrushes mushed into the grout. We absolutely love EZPaint. We were EZPaint converts in January and still very much so now. To those making your holiday shopping lists and checking them twice, EZPaint will also be offering special holiday packs for both Hanukkah and Christmas. Coordinating color paints will be paired with holiday themed EZ cards and these five piece sets will make the perfect gift for your little artist. I may have a two year old, but I brought EZPaint with me to my sister's dance studio yesterday and was swarmed by children of all ages wanting to try it out and make their own painting. Sometimes everyone wants to exercise a little creativity and tap into their inner-artist! 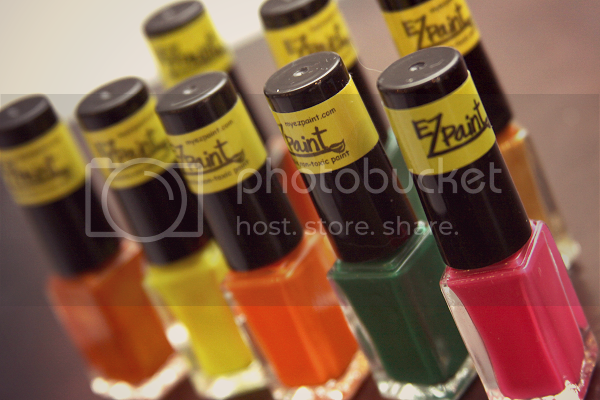 One winner will receive one sixteen pack of EZPaint! A second place winner will also receive an eight piece set of EZPaint! A third place winner will also be selected and will win a five piece set! Icing on the cake is - everyone who enters will receive a free shipping code! Can't wait to buy it? Visit EZPaint online to start your shopping now! Want to win? Giveaway is open to US residents and closes on 10/27! Good luck! What a great idea for the little ones; I'm in!